Planning a birthday celebration can be great fun but with lots of small children to cater for it can often become loud and a little messy - so take the easy option this year and head to Cineworld! 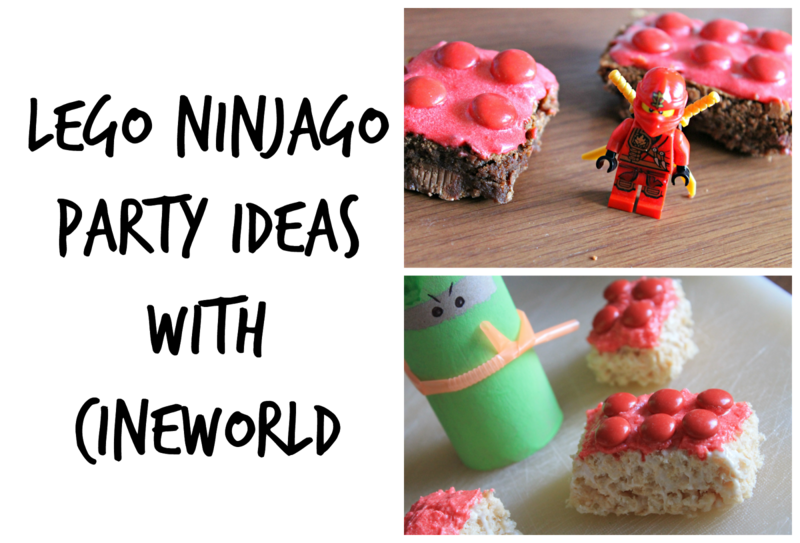 With so many amazing films due to be released in the run up to Christmas, including the Lego Ninjago movie which Jamster in particular is incredibly excited to see, a traditional party can become a trip out with lots of tasty themed snacks to enjoy and no cleaning up necessary. 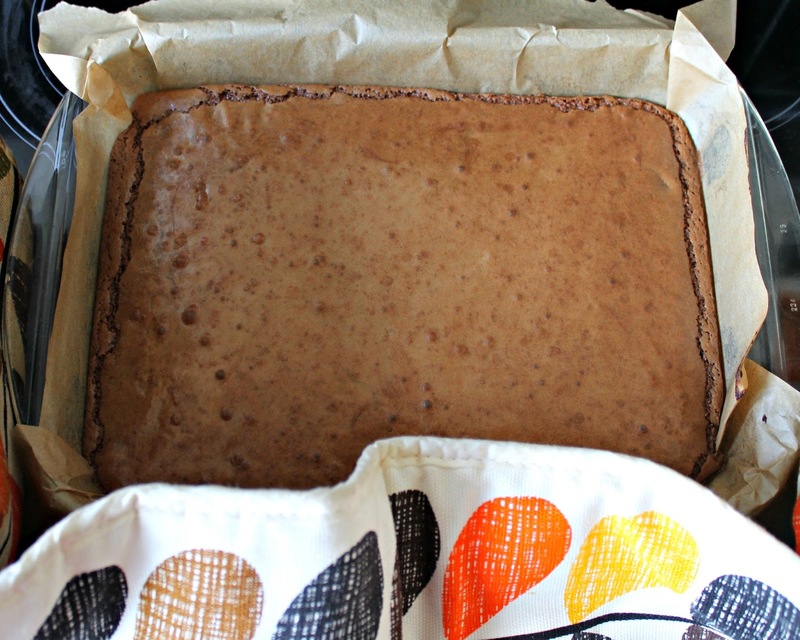 Brownies are a family favourite and I make a batch or two nearly every Sunday afternoon. They're warm, crisp yet gooey, with big chocolate chunks, so I decided to cook my usual recipe and make them into Lego blocks to match the movie. Simple yet so delicious. They will be great to take to the cinema in a Tupperware container to nibble on or wrap in cellophane and pop into loot bags for afterwards. 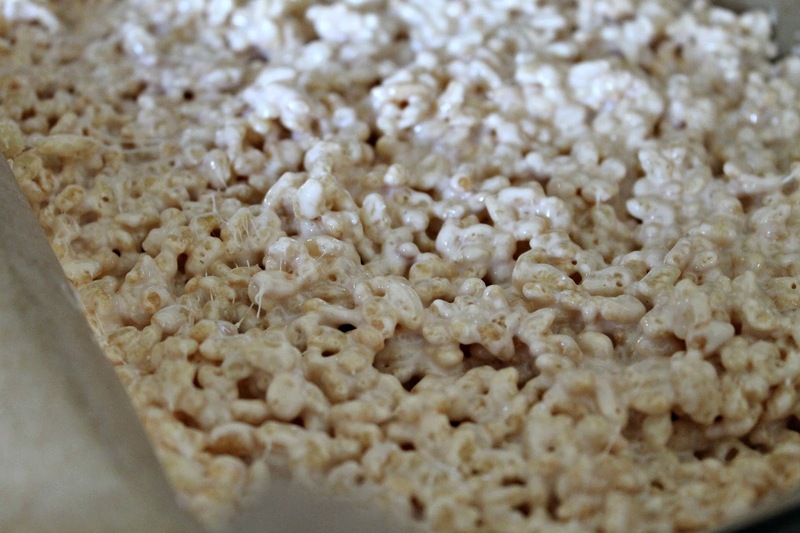 You can always swap the brownies for Rice Krispie treats instead! These are also a popular snack with the Mini Mes and they are great for lunch boxes. They are easy to decorate in the same way as above too but they provide a chewier finish. If you are brave decide to head home after your Cineworld trip ready for parents to collect the little ones you can always entertain them with a simple activity. Card rolls are incredibly versatile and ideal for crafts with the kids. 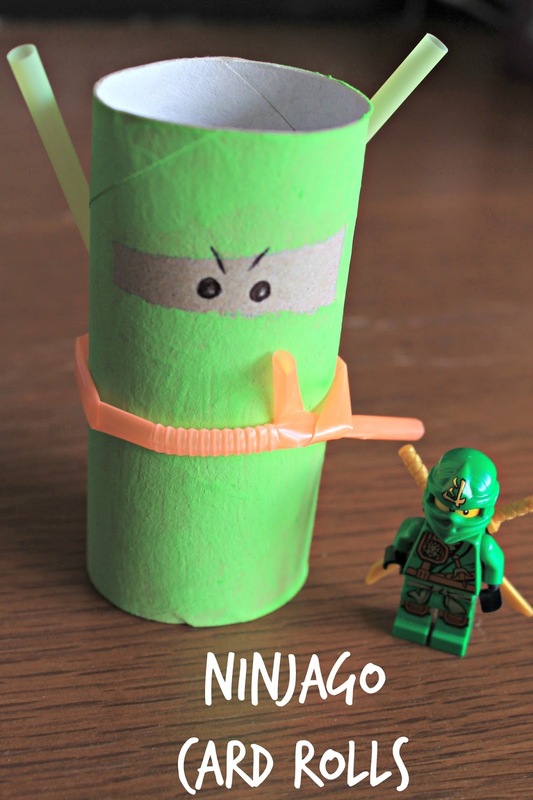 We've made bird feeders, owls and fairy homes with them over the years and we can now add ninjas to the list. Jamster loved making these as he is quite into TMNT as well as Lego Ninjago (you can add the film to your wish list so you won’t miss the ticket release). They are great for rainy days too or for using up some of the items from the recycling tubs to get creative this Autumn. Have you booked your tickets to Lego Ninjago yet at Cineworld? such a clever idea for snacks - very effective as LEGO pieces. My son loves LEGO and is pretty excited about the new movie. such great ideas to fit with the theme - love it! 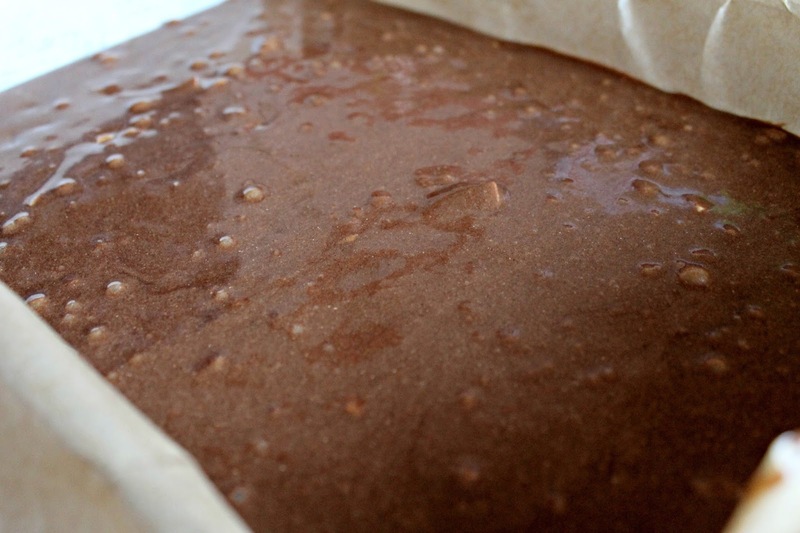 Those brownies sound so good. Oh, I did not know there is going to be another Lego movie, I loved the first one, it was funny and a bit philosophical too. 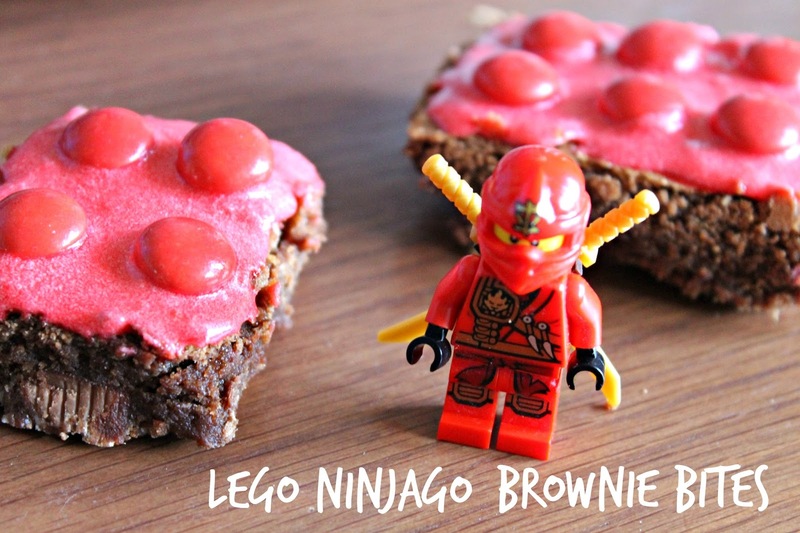 I like the lego shaped brownies, nice idea! I I've the very brownie bites! Fantastic idea. 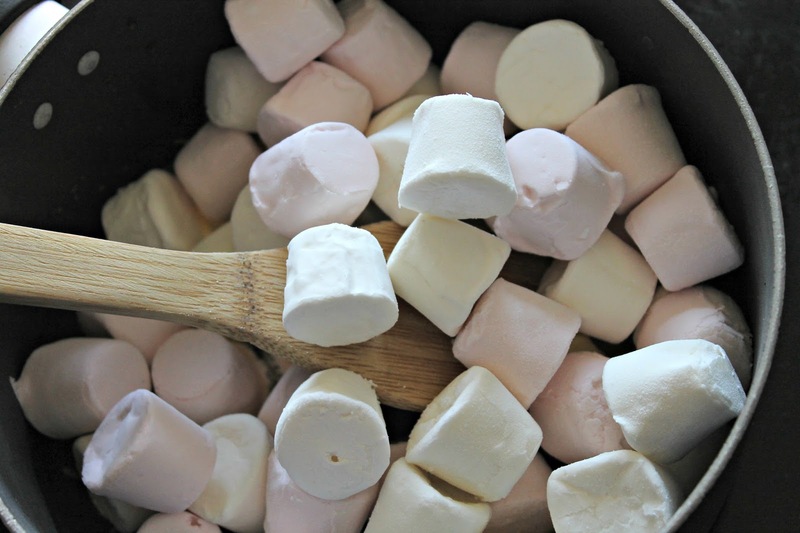 Ooh these look delicious and I love how easy they are to make! I love that they look like lego, my kids would love that! My boys both love the Lego Ninjago sets. They can't wait to see the film having seen the trailer a few months ago. 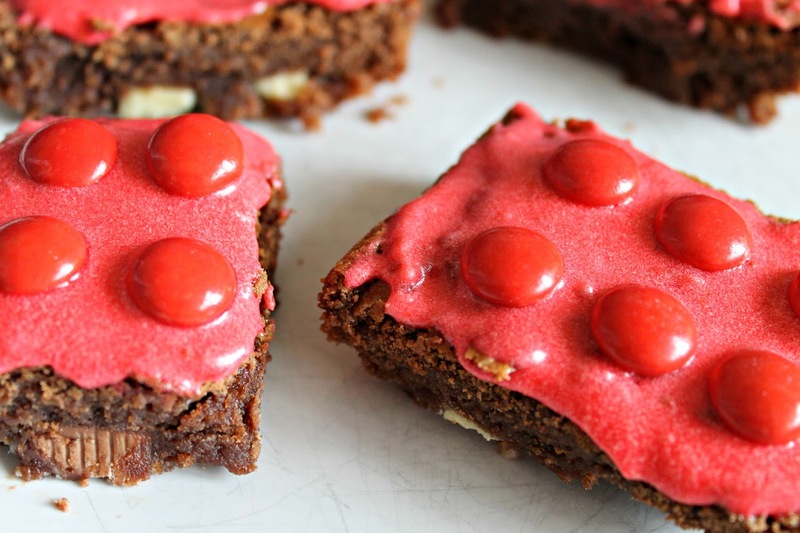 I love the Lego-themed brownies. They look so effective.